Heatmiser Neo has been designed to offer multi zone smart control for most heating systems, including radiators, electric and water underfloor heating. 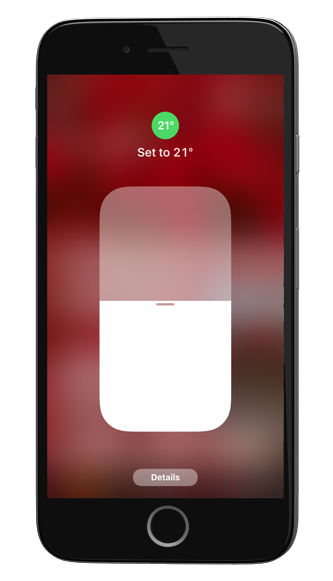 HomeKit support adds great connectivity to an already feature rich solution. Check out more about Heatmiser Neo here. 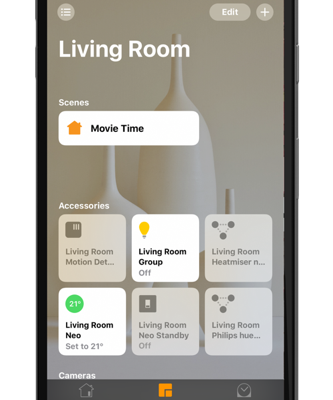 HomeKit is the smart home framework from Apple, bringing a common platform to control all of your home’s compatible accessories. 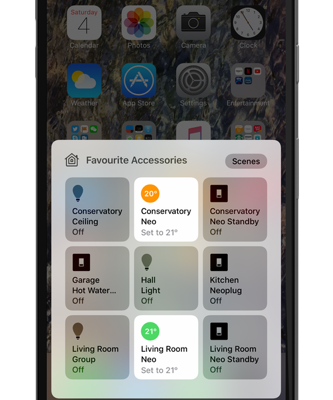 HomeKit accessories, such as the Heatmiser neoHub, have passed extensive testing by Apple which means when you see the Works with HomeKit logo you can be sure of a great user experience. 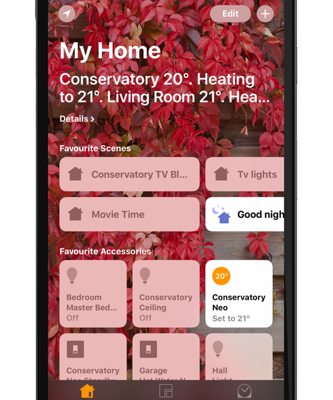 HomeKit works on all your iOS devices, from iPhone and iPad to the 4th Generation Apple TV. Control of your home from just about anywhere is possible when you have a 4th Generation Apple TV and smart automation rules are possible, making your smart home even smarter! 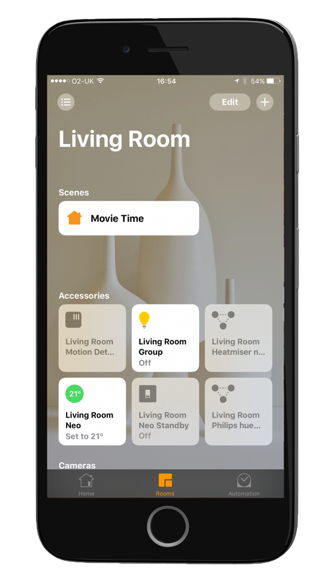 With the new Home app, you can securely control all of your HomeKit accessories. 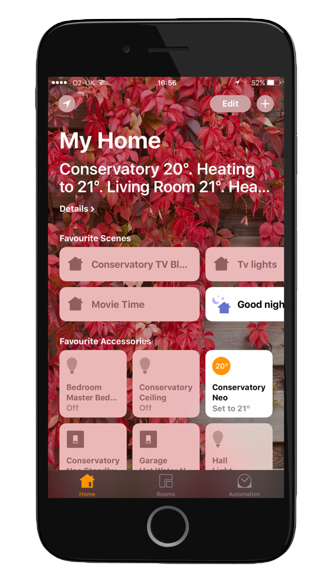 You can use the Home app to turn the heating up or lights down and with the help of Apple TV you can do all of this remotely too. The Heatmiser neoHub offers unrivalled system type support, from electric & water underfloor heating, conventional radiator systems as well as hot water and towel rails. This support differentiates us from the competition and has made Neo the preferred choice for many equipment manufacturers, installers and end users. HomeKit on Heatmiser Neo now sets the bar even higher. Look for accessories with the Works with HomeKit logo. These accessories have undergone extensive testing and are sure to give a great user experience. 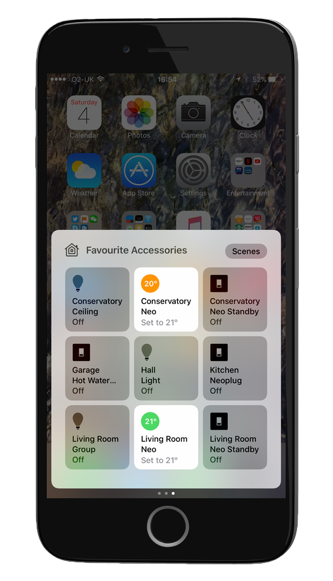 Accessories can be grouped by rooms, and this works great when using Siri or setting up scenes. Just as you would ask someone to set the temperature to 21C in the Living room, you can now ask Siri to perform this very same task. 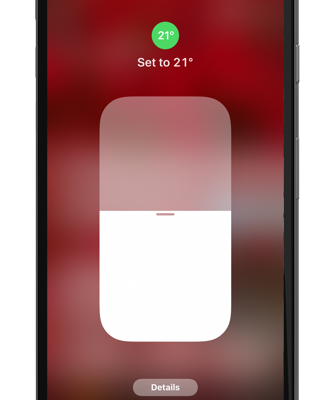 And 3D Touch lets you press and hold an icon to interact with that accessory, such as to turn the heating up or dim the light. HomeKit is all about making your home smart and automation is where this happens. In the Home app, you can setup automation rules that happen when the condition is met. This could be when you arrive or leave home, or when an accessory state changes. So as an example, you can say turn the lights on and increase the temperature in a number of rooms when you get near to home. More complex rules can be set, such as only run the automation after sunset. When used with a 4th Generation Apple TV, remote control of your smart home is possible. Your Apple TV will continue to activate all of your automation rules even when you’re out. 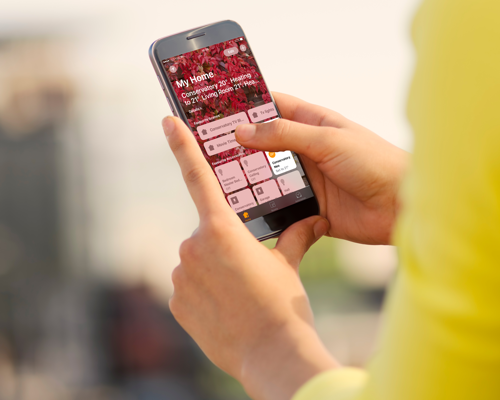 You can also use the Home app or Siri to control your home from just about anywhere.